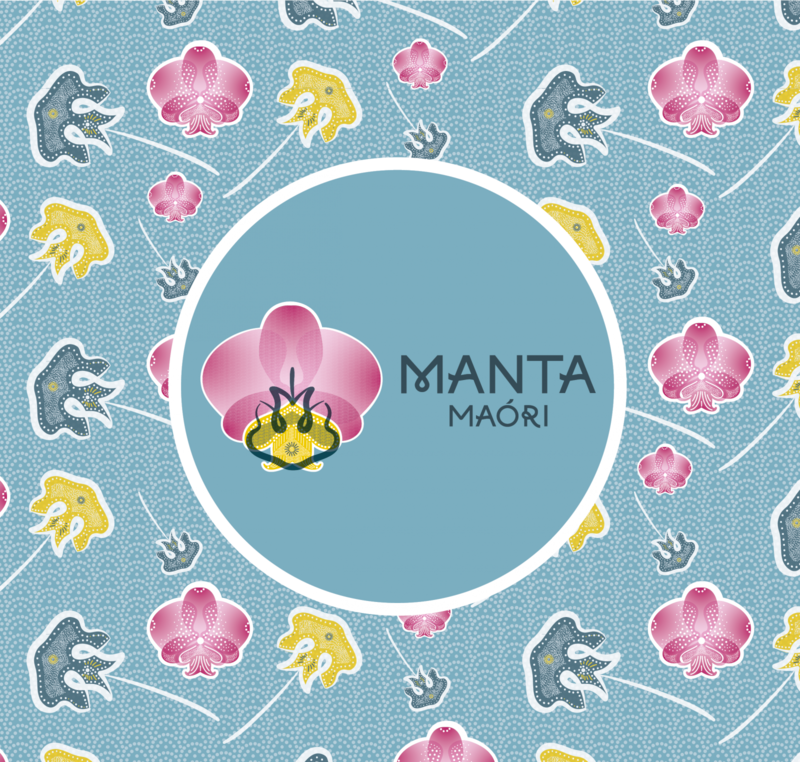 The word Manta establishes a direct link with the large flat lip of the flower: the silhouette of the lip resembles the large manta rays that swim in the ocean! The genetic variation within the Phalaenopsis genus is enormous. The variation was further extended about a decade ago by Taiwanese breeders by the introduction of a large flat lip on the flower, also called 'big lips' by growers and breeders. The first generation was characterized by coarse leaves, a lot of spike length and a high percentage of plants with one spike. Our breeders have started working on this and now the second generation is rolling out of our breeding and young plant production. Last November we introduced this group of Phalaenopsis plants at the Royal FloraHolland Trade Fair: Manta Maóri. The initial colours are mainly white and pink, but other colours and patterns will follow soon. Manta Maóri is the equal of the standard assortment in terms of vigour, leaf position, spike length and the two-spike percentage. The word Manta establishes a direct link with the large flat lip of the flower: the silhouette of the lip resembles the large manta rays that swim in the ocean! The Manta also embodies the characteristics of tropical, friendly and vulnerable, which dovetail perfectly with this variant of Phalaenopsis. The addition of Maóri further elaborates on the concept: handicrafts and the use of repetitive patterns is back in fashion. That's exactly what the Maóri tribe in New Zealand has elevated to art! Now that Anthura's first Manta Maóri plants are growing, the question arises as to how we can market them in a distinctive way. Do consumers see the difference? In the coming period we will be consulting with a number of customers to see how we can roll this concept out to the market. The ultimate goal is to make their distinctive character recognisable to the consumer. We can already visualize the Manta’s 'swimming' in the big Phalaenopsis ocean, can’t you?